Ori and the Will of the Wisps has a shiny new trailer courtesy of the Xbox E3 conference. 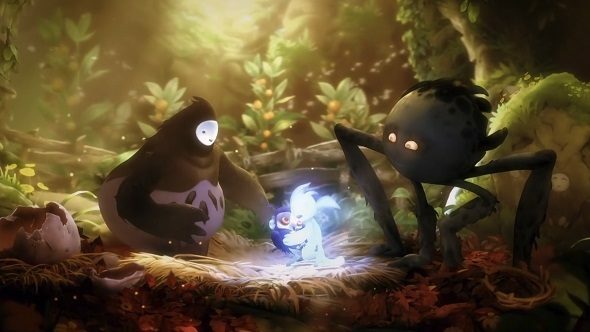 The game seems to strongly feature a brand new character, who appears to be a newborn owl, working alongside Ori in another beautifully drawn platformer, retaining its stirring orchestral theme. The release date from Xbox was pretty vague, simply revealing that the game will release in 2019. No other concrete details about the game were revealed at the conference. We already knew, however, that the game will come to Xbox One and PC, and it is built in the Unity engine. If Ori and the Will of the Wisps looks like your jam, you might really enjoy a list of some of the best indie games available on PC. We also learned that the game will feature new customisation options, as well as brand new combat. For the most part, however, it seems that Ori and the Will of the Wisps will follow in many of the same footsteps as the acclaimed Ori and the Blind Forest. You can check out the trailer for Ori and the Will of the Wisps below. The trailer suggests that you can use your new owl friend to help Ori fly around the game, adding a new level of verticality to the series. We’ll let you know once we have a clearer idea of the game’s release date.